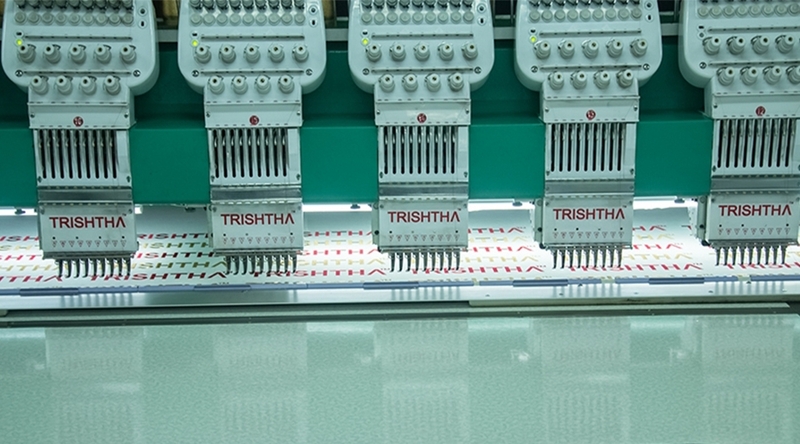 4 Tips To Buy An Embroidery Machine - Trishtha Industries Pvt. Ltd.
Purchasing an embroidery machine needs you to invest quite a bit. The cost can differ widely, and the price tag can vary from one store to another. The price of these equipments in generally related directly to the purpose. You should look for embroidery equipment which comes with a wide variety of designs and fonts, or at least one that allows adding more fonts and designs at a later time. While larger and costlier embroidery equipments might be required for businesses or commercial establishments, smaller ones are perfect for individual use. Keep these 4 tips in mind while trying to buy lowest price embroidery machine. Think about your requirements: First of all, you have to consider what your needs are. A 15 head embroidery machine cannot really do the work that a 21 head embroidery machine can do. If you plan to deliver multiple projects within a short time, you have to get one which is equipped with multiple heads or needles. If you need 12-needle embroidery equipment, a 6-needle one will not be fit for your purpose. Then again if you can do with 6-needle equipment, 12-needle embroidery equipment will be unnecessary expense for you. Buying as per your requirements will allow you to purchase cheap. Compare the price tag: Price comparison is always a good idea. Check prices across various stores and a wide variety of dealers and you will find the same embroidery equipment coming at a lower price. The internet has made things easier these days, and you can use price comparison shopping engines in order to get items at a lower cost. You will be able to get equipments at inexpensive rates very easily. Price comparison will let you buy lowest price embroidery machine in a convenient manner. Look for a basic software package: If you are purchasing new embroidery equipment, you will need one that uses a convenient software package. With a software package that can be used easily, you can get the chance to design and edit with convenience. There will also be the chance to gather more experience at using embroidery equipment. The embroidery machine cost will be lower with one that comes with basic software package. The majority of sellers credit the purchase cost for the upgrade. When you are prepared for upgrade, you can save more amounts. Buy one without fancy features: The embroidery machine India price will also be on the lower side when you buy one that comes minus fancy features. Do not go for expensive equipments which come with features you are not going to need now or even later. The fonts and the size of fonts are most important factors to consider. The embroidery equipment that comes with simple fonts for embroidering patterns and names on apparels will be standard requirement. But if you need something more detailed or fanciful, look for equipments which offer the chance to stitch initials and names in amazing patterns. You may also get basic 6 needle embroidery machine with amazing fonts or having the option to enter fonts downloaded from the internet.